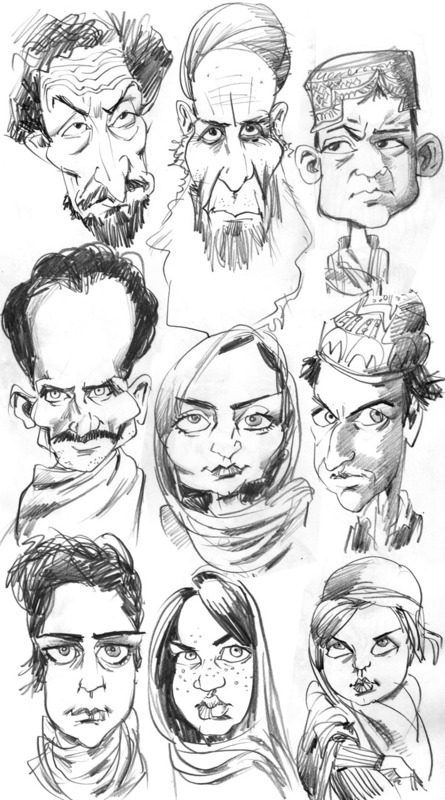 For today's 20 quick caricature sketches I searched "Afghanistan Faces". Absolutely incredible. The faces were amazing. Outside, a neighbor was playing Ravel's "Bolero" and it added an extra dimension, esp when I found it on Youtube and had it on my headphones. 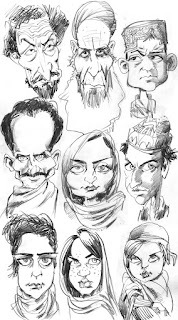 Amazing faces, hardened. All the kids looked miserable. Of course these photos might be staged and my own prejudices/view creeping in, but we all know how tough that land is. They were faces full of character and incredible looks but by far the most noticeable part was their eyes. Either black as the ace or shiny like gems. Stunning.